Wendy Tokunaga: Holiday Book Buying Guide! Set to release in February of 2012 and available now for pre-order, this 1840s historical relates the story of a woman whose grandparents must consider whether to stop keeping secrets and reveal the truth they’ve known—a truth that will make the difference between a life of obligation and a life of choice.Unlocking the past could open the door to a new future, but is the present worth the cost? Introduced in the novel is the custom of plaçage, known as "left-handed marriages" among those forbidden legally to be together. Who would like this book? 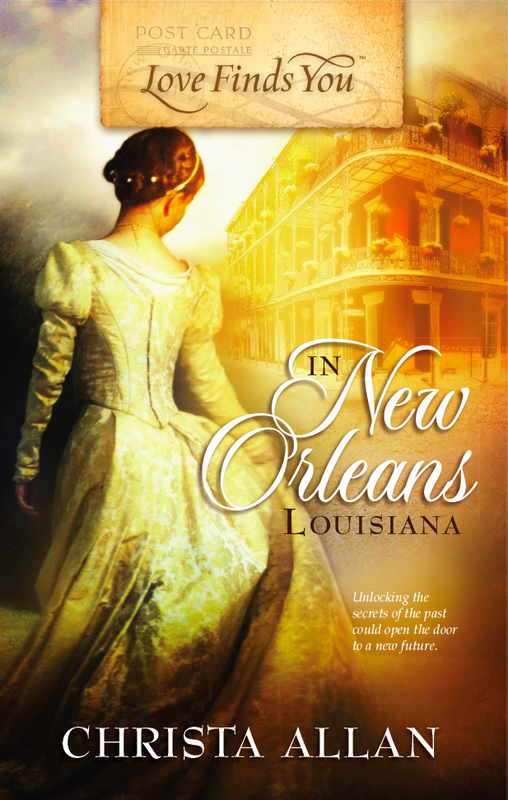 Readers of historical fiction and Southern fiction. Childhood pals Kip and Shelley spent their summers on Block Island, swimming, biking, discovering the world together. Then real life intruded, bringing tragedy and heartache. Years later, they both wind up back on Block Island. Can the island's rugged beauty and their loving friendship heal their wounds? An award-winning novel when it was first released, SAFE HARBOR is available to as a reissued e-book to a new generation of readers. Who would like this book? SAFE HARBOR is the perfect book for lovers of romance fiction. Who would like this book? LITTLE WOMEN AND ME will appeal to adult fans of Little Women and girls ages 12 and up. Love heals the heart is the message of this heartwarming picture book about a boy who saves a homeless dog and vice versa. Cody had his own dog once, but his painful loss is buried deeper than the feeding dish he hides away in his closet. 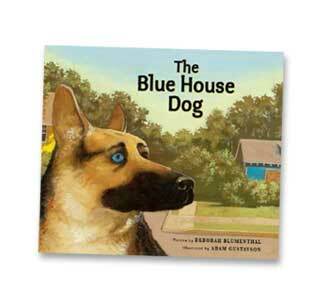 All that changes when he comes upon a four-footed friend needier than he is -- a sad, lost dog from a mysterious blue house and both learn to trust and love again. Who would like this book? Dog lovers of all ages. How far will a mother go to save her child? Ten years ago, Ruby Leander was a drifting nineteen-year-old who made a split-second decision at an Oklahoma rest stop. Fast forward nine years: Ruby and her daughter Lark live in New Mexico. Lark is a precocious, animal loving imp, and Ruby has built a family for them with a wonderful community of friends and her boyfriend of three years. Life is good. Until the day Ruby reads a magazine article about parents searching for an infant kidnapped by car-jackers. Then Ruby faces a choice no mother should have to make. A choice that will change both her and Lark's lives forever. Who would like this book? Anyone, especially book clubs who like a good moral debate, will like this smart, haunting, and gorgeously written debut novel that propels a whip-smart plot that will keep you thinking. Who would like this book? Romantics and lovers of travel fiction who might enjoy a grand journey of self awakening amidst the classic architecture and stunning vistas of Europe. Still reeling from divorce, Trish Taylor is in the midst of salvaging the remnants of her life when she uncovers a shocking secret: her sister is alive. After years of drawing on the strength of her ancestors, Billie Cousins is shocked to discover that she was adopted. Though Trish longs to connect with her long-lost sister, Billie's feelings of betrayal are waters too deep to cross. But when both women are forced to confront their demons, they begin to realize that each may have what the other needs. Who would like this book? This is a contemporary story between two women who discover they are sisters. Great for fans of smart, moving women's fiction. Women in interracial relationships or with mixed-race children will especially like it. mysteries will enjoy this book. Abbie Jennings is Manhattan's top food critic until her expanding waistline makes staying incognito at restaurants impossible. Her cover blown on Page Six of the New York Post, her editor has no choice but to bench her—and suggest she use the time off to bench-press her way back to anonymity. Abbie’s life has been built around her career, and therefore around celebrating food. Forced to drop the pounds if she wants her primo gig back, Abbie must peel back the layers of her past and confront the fears that have led to her current life. Who would like this book? SLIM TO NONE is the perfect book for anyone who's ever gone on a diet (or believes they should). A young woman who has squeezed herself into undersized relationships all her life hopes to realize her dream of living in a novel when she is invited to participate in a Jane Austen literary festival in England. She jumps at the chance to reinvent herself, imagining escape into Austen’s fictional world where bookish women are heroines. There, in the rich, promising world of Mansfield Park, Lily finds people whose longing to live in a novel equals her own. But real-life problems have a way of following you wherever you go and unless Lily can change her ways, she will share the fate of so many of Jane Austen’s characters who repeat the same mistakes over and over again. Who would like this book? MY JANE AUSTEN SUMMER is a fast-paced, romantic, and humorous book that will appeal to book lovers, especially those who can't get enough Jane Austen. An arresting, heartbreaking, and ultimately hopeful first novel. A recently divorced mother of two boys, Ellen Banks is just learning to make her way through the uncharted territory of single parenthood when the unthinkable happens. Determined to seek justice, and to mend the deep wounds in her family, Ellen must first heal herself, finding a way out of a grief that soon turns to defiance. This is an unforgettable journey of power and emotion, poignantly depicting a woman as she reckons with her own vulnerability and finds in the wisdom of motherhood, the redemptive grace to begin again. Who would like this book? ALL THE NUMBERS is great for discussion so it's perfect for anyone in a book club or who just wants characters you'll argue with, worry about, and hope they make the right choices (and yes, I love connecting with book clubs!). Two sisters whose lives seemed forever intertwined are torn apart when a magical little black dress gives each one a glimpse of an unavoidable future. Antonia Ashton has worked hard to build a thriving career and a committed relationship, but she realizes her life has gone off track. Forced to return home to Blue Hills when her mother, Evie, suffers a massive stroke, Toni finds the old Victorian where she grew up as crammed full of secrets as it is with clutter. Now she must put her mother’s house in order—and uncover long-buried truths about Evie and her aunt, Anna, who vanished fifty years earlier on the eve of her wedding. By shedding light on the past, Toni illuminates her own mistakes and learns the most unexpected things about love, magic, and a little black dress with the power to break hearts . . . and mend them. Who would like this book? 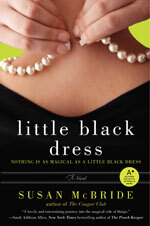 The story of the Little Black Dress weaves together bits of history, mystery, magic, and family, so I hope it appeals to readers who love women's fiction in the vein of Kate Morton and Sarah Addison Allen. Quinn Braverman has a perfect life, with a loving husband, an adorable son, and another baby on the way. Quinn also has an ominous secret: she knows there's a portal to another life, one in which she made totally different life choices. But she's never been tempted to switch lives ... until a shocking turn of events pushes her to cross over, and she discovers the one person she thought she'd lost forever. Her mother. But Quinn can't have both lives. Soon, she must decide which she really wants—the one she has ... or the other life. Who would like this book? Anyone interested in the beautiful, heartbreaking and complicated relationships between mothers and daughters. Momfriends is a story of three vastly different people who meet through motherhood and become friends through womanhood. Ruth is almost at the end of her rope with her new baby when a knock on her door changes everything. Claudia's life is all about rules. Everything is going perfectly until a flirtation with colleague makes her throw out her rule book. And Kirsten is an artist and a dreamer. What she discovers late one night confirms that her life is not everything she dreamed. Momfriends is about how people roll with lives they can’t control. And whether they choose to swim with the current or against it, it’s about the realization that everyone needs someone to throw out a life preserver once in a while. Who would like this book? Momfriends makes the perfect gift for your best friend, the new mom in the neighborhood or the mom you'd like to invite over. It's an ebook so it's even easier to read and multi-task. In Mindy's yoga-obsessed, thirty-is-the-new-wife neighborhood, every day is a battle between Dunkin' Donuts, her jaws-of-life jeans, and Beth Diamond, the self-absorbed sancti-mommy next door who looks sixteen from the back. So much for sharing the chores, the stores, and the occasional mischief to rival Wisteria Lane. It's another day, another dilemma until Beth's marriage becomes fodder on Facebook. Suddenly the Ivy League blonde needs to be “friended,” and Mindy is the last mom standing. Together they take on hormones and hunger, family feuds and fidelity, and a harrowing journey that spills the truth about an unplanned pregnancy and a seventy-year-old miracle that altered their fates forever. 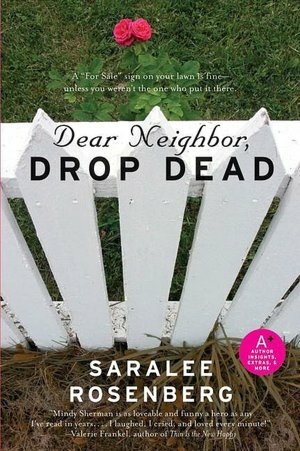 Dear Neighbor, Drop Dead is a hilarious, stirring romp over fences and defenses that begs the question, what did you do to deserve living next door to a crazy woman? Sometimes it's worth finding out. Who would like this book? DEAR NEIGHBOR, DROP DEAD is perfect for anyone who loves to discover friendship in surprising places ... while laughing out loud on every page. Super-organized Ellie thinks she’s prepared for everything when she and her family set off for an extended visit with her southern in- laws in Alabama, but the one thing she hasn’t planned for is cold-blooded murder. When the patriarch of the family passes away under suspicious circumstances, the quirky Avery family closes ranks and Ellie can't help looking for motives among the mourners. Who would like this book? Fans of mysteries and southern fiction will enjoy Mimosas, Mischief, and Murder. As a college student in Athens, Georgia, Mia Wells meets Flynn, an enigmatic stranger who pushes every boundary she knows. Their relationship is intense, passionate and, for Mia, life-changing, making it all the more painful when he vanishes. After finding the wherewithal to move on with her life and pursue her goals, Mia eventually marries. Twelve years later, Flynn mysteriously resurfaces, gravely injured. Mia is terrified that he will die, awestruck at the prospect of his survival. Flynn’s return ignites a powerful tale, a story that is greater than honor or friendship or the passing of time. More than a romance, this 2011 Penguin release was recently named Best First Book in the NJRWA Golden Leaf contest. Who would like this book? BEAUTIFUL DISASTER is women’s fiction with a heavy thread of romance, making it the perfect book for readers who like relationship fiction that includes a thought provoking love story. After receiving a puzzling phone call and a box full of mysteries, Celeste Duncan, 33, is off to Japan to search for a long, lost relative who could hold the key to the identity of the father she never knew. There she stumbles head first down the rabbit hole into a weird, wonderful world where nothing is quite as it seems. Not knowing Japanese, Celeste finds a friend in her English-speaking homestay brother, Takuya, and comes to depend on him for help. As they cross the country following a trail after Celeste's family, she discovers she's developing "more-than-sisterly" feelings for him. But with a nosy homestay mother scheming to reunite Takuya with his old girlfriend, and her search growing dimmer, will Celeste find what she’s looking for in Japan? Who would like this book? 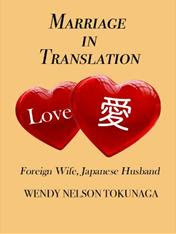 Love in Translation will appeal to armchair travelers who love a good love story! Most of the these books are available at your favorite bookstore. To buy online, visit the author's page for ordering links.